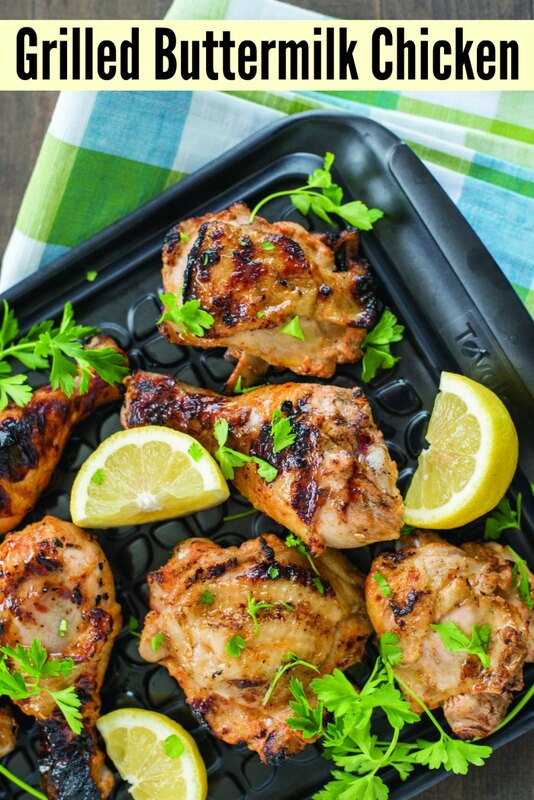 We’re taking an old fried favorite recipe and turning it into a grilled favorite – Grilled Buttermilk Chicken. With the weather turning warmer, it’s time to get outdoors and heat up those grills! 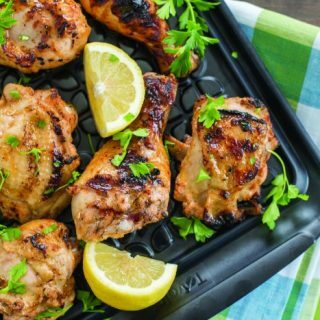 Keep your kitchen cool and comfortable with grilled meals that banish the heat to the outdoors. Crisp, fresh greens and a perfect blend of spices and savory ingredients make each of these refreshing dishes perfect solutions for toasty days. Featuring ingredients across the food groups, this dairy-fueled recipe from Milk Means More is ideal for well-rounded meals filled with nutritious flavor. Step 1: In medium bowl, whisk buttermilk, mustard powder, Sriracha, garlic and paprika. Step 2: Place chicken in large zip-top bag; pour buttermilk mixture over chicken. Seal bag and refrigerate 2 hours or overnight. Step 3: Heat outdoor grill for direct grilling over medium heat. 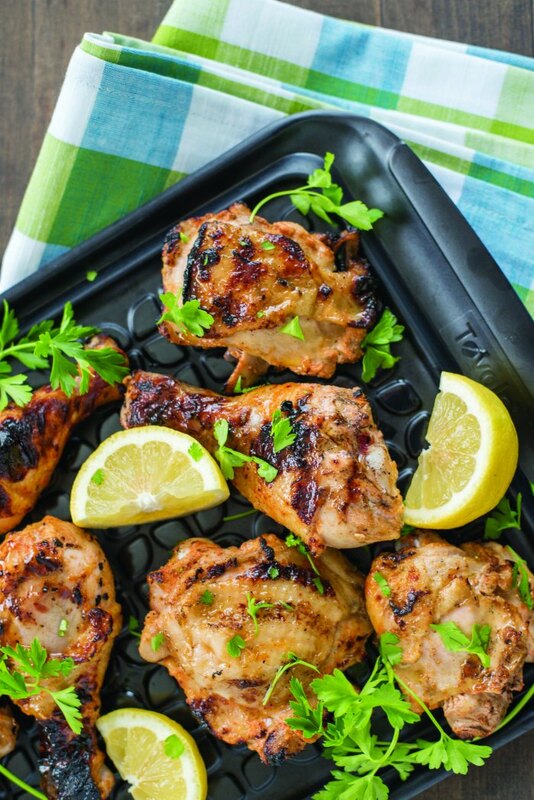 Remove chicken from marinade, shaking off excess; discard marinade. Step 4: Lightly oil grill grates. Transfer chicken to grill and cook, turning occasionally, 16-18 minutes, or until internal temperature reaches 165 F.
Step 5: Transfer chicken to serving platter. Sprinkle with parsley and serve with lemon wedges, if desired. Recipe courtesy of Lori Yates of Foxes Love Lemons on behalf of Milk Means More. Heat outdoor grill for direct grilling over medium heat. 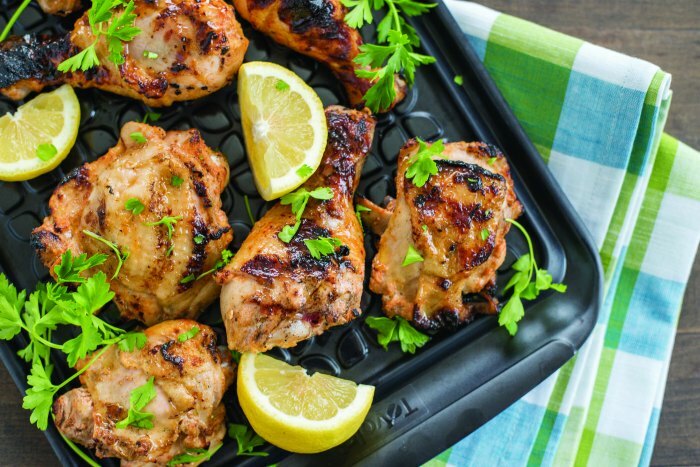 Remove chicken from marinade, shaking off excess; discard marinade. Lightly oil grill grates. Transfer chicken to grill and cook, turning occasionally, 16-18 minutes, or until internal temperature reaches 165 F.